Thousand Oaks Radiology has been proudly serving the Conejo Valley area since 1981. We are a full service Imaging Center that offers the technology of TODAY with the personalized care of YESTERDAY for peace of mind TOMORROW. 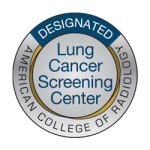 Many of our Radiologists and employees have been a part of our organization for over 30 years! We are committed to providing the highest quality of care to our patients. We are certified by The American Board of Radiology and hold the prestigious ACR Gold Seal. Our radiologists have obtained advanced training in specialty areas like musculoskeletal imaging, neuroradiology, cancer imaging, women’s imaging, pediatric imaging, cardiac imaging and interventional radiology. 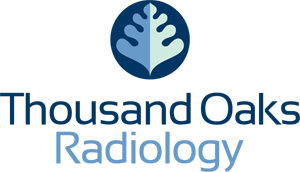 We are the only radiology group to service Los Robles Hospital and its Emergency department. Technologists and receptionists are courteous, efficient and professional. Would highly recommend this imaging facility. The Outpatient Centers of Thousand Oaks Radiology have the most advanced equipment with the most up to date software enhancements. Our 3-D rendering is now commonly used for Surgical Mapping, Gamma Knife Therapy as well as Prosthetic and Dental Implant Design. 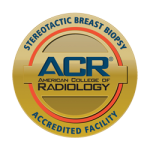 In addition we have 3D Breast Tomosynthesis, Digital Mammography, Breast MRI and Whole Breast Ultrasound Screening for early cancer detection. Our 64-Slice CT for Coronary Artery Evaluation and Lung Screening. Our G.E. Lunar Prodigy DEXA Bone Densitometer provides Bone Density Testing for Osteoporosis Diagnosis. The DEXA also provides Body Composition Analysis Testing for Weight Loss and Athletic Training Progress; a comprehensive report with detailed results is provided to the patient. Integrated with State of the Art PACS; (Picture Archiving and Communications System), RIS (Radiology Information System), and MRS (Mammography Reporting System). Thousand Oaks Radiology maintains a paperless and film-free environment. We electronically deliver studies, reports and images to the medical community. We offer collaborative interpretation with multiple radiologists for accurate analysis. All hospital imaging is immediately available for follow-up comparison at our locations.